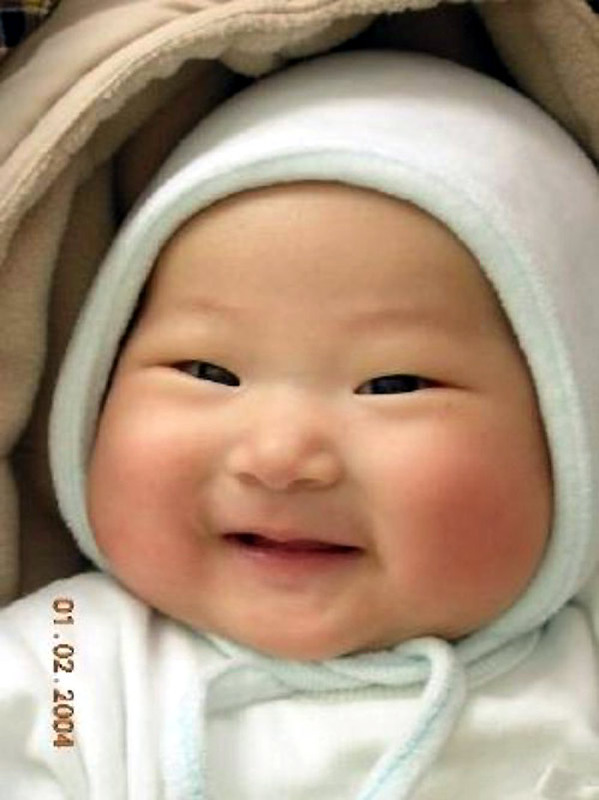 Rose was adopted from China in November of 2018, at the age of 33 months. 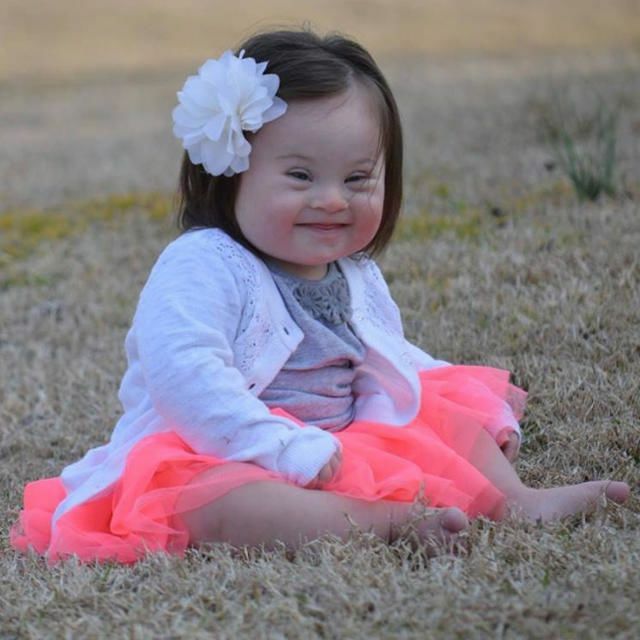 She has Down syndrome, and spent the first 33 months of her life laying in a crib, with very little human interaction. As a consequence, she is severely delayed in her overall development, and has very, very low muscle tone. 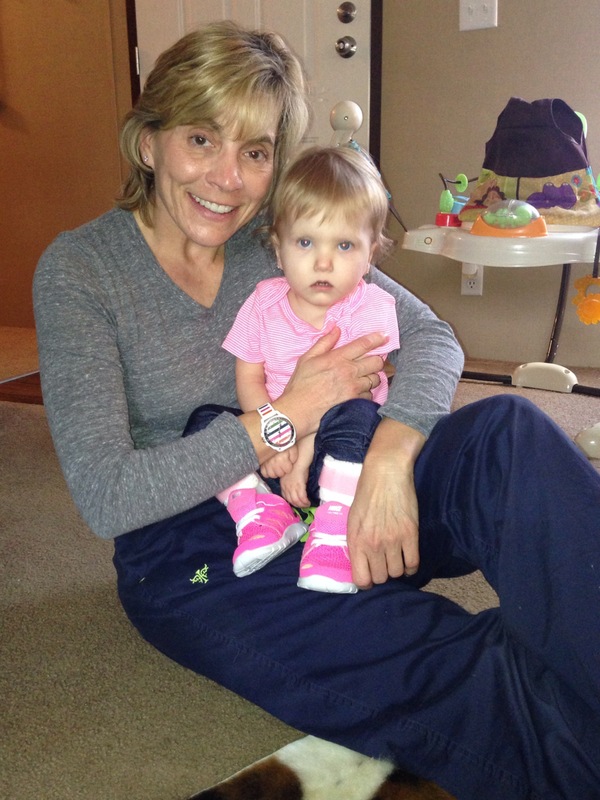 Because of her age, Rose was only able to receive services through Early Childhood Intervention (ECI) for two months. Lacy Alvarado, our service coordinator from Easter Seals Greater Houston’s ECI Program, made sure that Rose had the best therapeutic intervention she could possibly get during those two month through the Brazos Valley team (PT, OT, Case Management, Nutritional services, Speech and more). In addition to working with Rose every week on a wide range of developmental goals, the ESGH BV Team provided us with invaluable advice, and directed us to all the best service providers to meet Rose’s needs. With their help, Rose has made amazing progress, meeting many of her goals each and every week. Before starting with ECI, Rose had very limited usage of her left side, she couldn’t sit without bracing herself on her legs, and was completely unable to feed herself. In just two short months, Rose is now using her left hand and arm to complete all kinds of tasks, she can sit up straight without using her arms to brace herself, she is able to bring food to her mouth for self-feeding, she is beginning to use her arms and legs to “army crawl”, and she is learning how to follow simple directions. 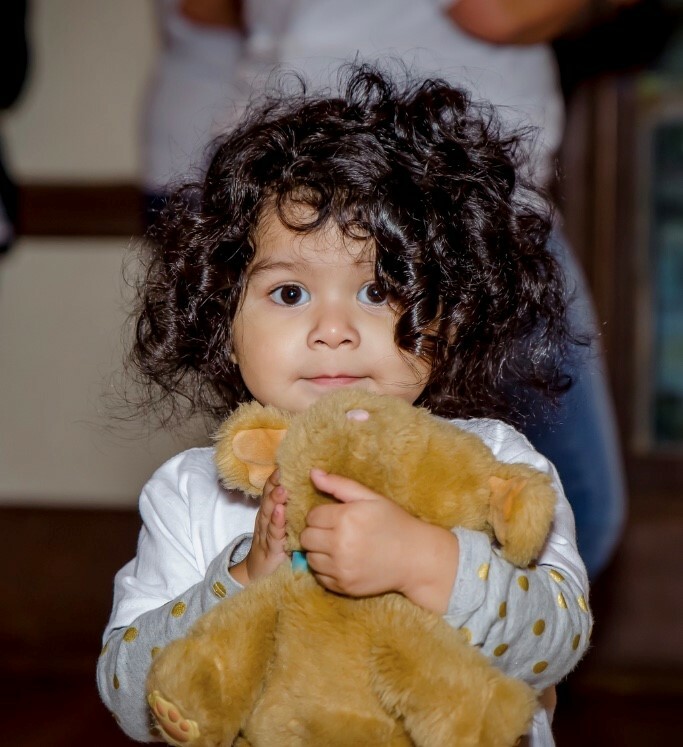 With the help of Jana Aguilar, her physical therapist through Easter Seals Houston’s ECI Program, Rose has discovered that she has legs, and is beginning to bear weight on them, moving one step closer to eventually crawling and walking. We are so grateful for the Brazos Valley Team’s help through the Easter Seals’ ECI Program, as they have set Rose up for great success as she continues to grow and develop. And having these services provided in our home has been extremely important for Rose, allowing her to work with Lacy and Jana in a familiar place. Coming from years of neglect in a foreign institution has made Rose very fearful of unfamiliar surroundings, and very easily overstimulated by new people and places. So having Lacy and Jana come to our home was vital to her success. We will be forever grateful to Easter Seals Greater Houston / ECI for beginning Rose’s journey of healing and development in such an amazing way, and we will the team so very much. “When Bellemere was first born, as excited parents welcoming our second child, we never would have imagined the journey we would be faced with upon her arrival. After a month in the Neonatal Intensive Care Unit, countless specialists and doctors visits, we finally learned we were blessed with a child who has CHARGE syndrome. With time, we found out Bellemere was deaf, her physical strength would be delayed and she is a silent aspirator which means she could take no food or liquid by mouth due to choking risks. Bellemere had a MickeyTube placed so she could get her nutrition through a tube in her stomach. Our family was introduced to Easter Seals Greater Houston’s Early Childhood Intervention (ECI) program after one of many hospital stays. Aliza was our case manager and she guided us along the way. With the help of Anita (physical therapist), Britni (Early Intervention Specialist), Elena (Occupational Therapist), and Brenda (Speech Therapist), we were taken through the next steps in Belle’s journey until she turned 3 years old. These therapists came to our house weekly to work with us which was crucial in limiting her exposure to germs. With their help, guidance and patience, Bellemere has mastered crawling, cruising on her feet while holding on to things, and walking with the assistance of a walker. She is also now able to feed herself pureed foods (something we never thought we would see her do), communicate using sign language, use her fingers to grasp small objects and many other skills that are necessary for her daily life. 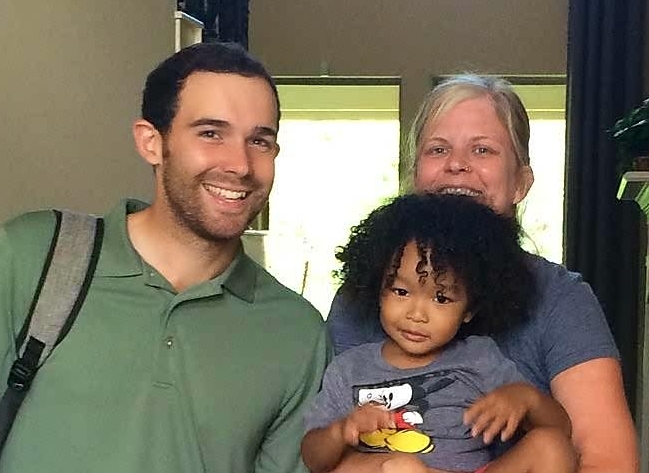 Also after discovering that Belle was deaf, our Easter Seals ECI case manager connected us with AI services, which supplied us with a deaf education teacher who also came to our home to work with us. Ella has been enrolled in the Easter Seals Greater Houston ECI/Infant Program for about 6 months. Per one of the therapists on her Infant Program team – visits started with tan trums, then evolved into stoic silence. Mom swore she said about 10-15 words, but the team never heard them the first month or so. Now, this lovely chatter box has a vocabulary that is growing every day. Ella is combining words to make 2-4 word sentences on her own, and parrots everything she hears. She is able to sit and attend to learning and play activities for 30+ minutes without getting distracted, and has some of the most creative pretend play we have seen. 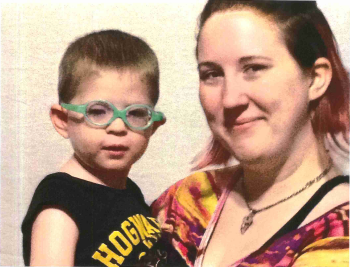 We have been utilizing the services of the ECI/Infant Program at Easter Seals of Greater Houston over the past year for our son Mica, who was diagnosed at birth with Trisomy 21. Mica’s progress has been wonderful so far, thanks to th e team of dedicated therapists at Easter Seals. Mica’s physical therapist Charisse as well as his nutritionist Thein have been instrumental in his growth and development. 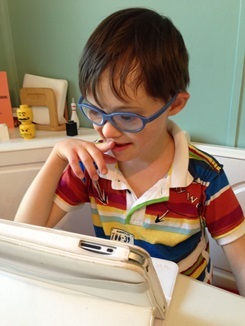 His occupational therapist Christy as well as speech his therapist Bridget are working on improving his skills. My wife and I are very pleased with the team’s dedicated and professional approach in dealing with Mica. For anyone with a child with a disability in the Houston area, we highly recommend the ECI/Infant Program Easter Seals as they do a wonderful job. WHAT IS ECI – EARLY CHILDHOOD INTERVENTION AND WHY IS IT NECESSARY? 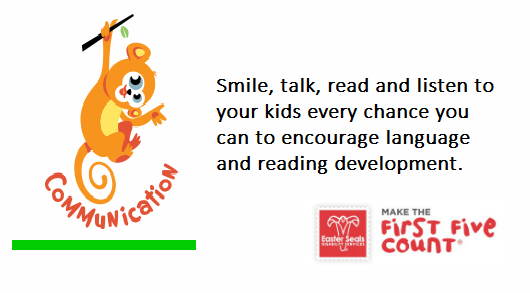 WHAT IS MAKE THE FIRST FIVE COUNT AND HOW CAN IT HELP YOUR CHILD? WHAT IS THE ASQ (AGES AND STAGES QUESTIONNAIRE) AND HOW CAN IT HELP? 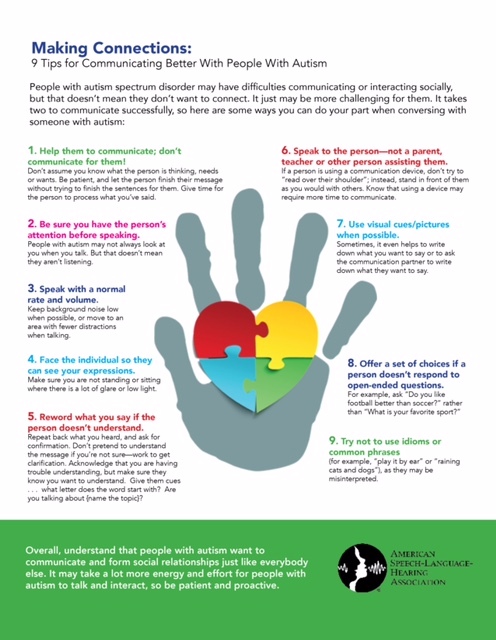 Celebrate May as Better Hearing and Speech Month. Concerned? Wondering if your baby is meeting her milestones? Our Children’s Therapy Program is here to help. You can also check out our Ages & Stages Questionnaire on a regular basis! Born full term and healthy, with no apparent issues, Bear’s mom began to notice he was taking longer to reach his developmental milestones. During checkups with the pediatricians, she voiced her concerns. After moving to this area, Stephani followed up with new doctors. 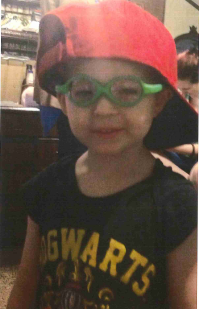 At his two-year old well check-up, his mom reported Bear was not saying any words. When told about the possible language delay, his doctor recommended ECI (Early Childhood Intervention) from Easter Seals Greater Houston. The evaluation with ECI occurred in mid-March. Bear qualified for ECI due to global delays. One of the items on the evaluation was the string drop test. Bear was unable to see the string as it fell, prompting the assessment team to discuss a possible problem with his vision, and encouraged Stephani to have his vision tested. His mom was quick to follow-though with the team’s suggestion and immediately scheduled an eye exam for the next week. At the eye appointment, Bear was diagnosed as legally blind, with significant vision loss in both eyes. He was fitted for glasses. At first, Bear grabbed the glasses off his face. But then, with the second try, he looked through the lenses, his face lit up, and he gave that “half-smile smirk”, truly seeing people for the first time! Now, with his glasses, Bear is able to see the world around him, his reach and grasp have improved tremendously, and he loves watching and imitating his big brother. 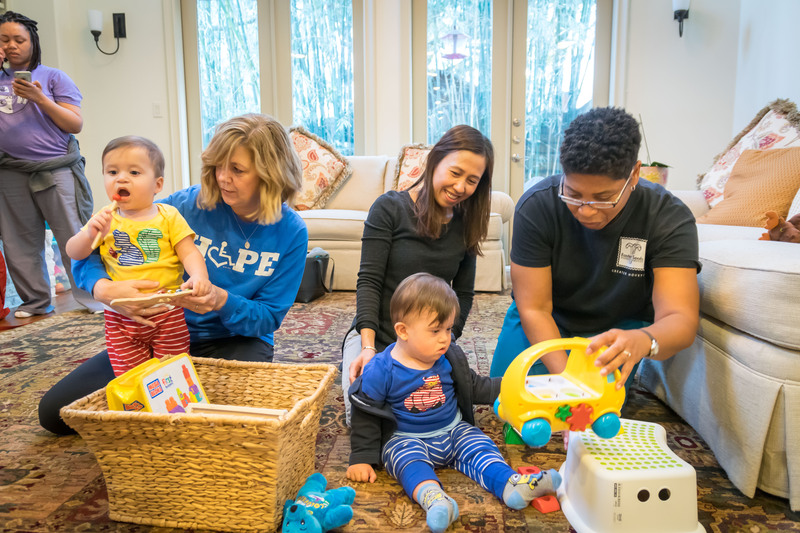 From the initial evaluation, a PT (Physical Therapy, part of Easter Seals Greater Houston’s Children’s Therapy Program) consult was also written. When the PT completed her evaluation, she recommended SMOs (Supra Malleolar Orthosis, which are prescribed to help stabilize ankles/feet to improve balance and walking). Again, his mom followed-through, promptly getting the prescription and an appointment with a orthotics clinic. Two weeks after being fitted, Bear received his SMOs. Even though he has only been wearing the orthotics a few days, dramatic improvement has already been shown in his balance. Not only has Bear improved in his vision and walking skills, his language skills have also increased. He’s now imitating and using some signs and single words. Instead of crying as he had done before, he now u ses the sign “more” to communicate what he wants. Much of Bear’s progress was due to his mom’s response, and getting him the help he needed. 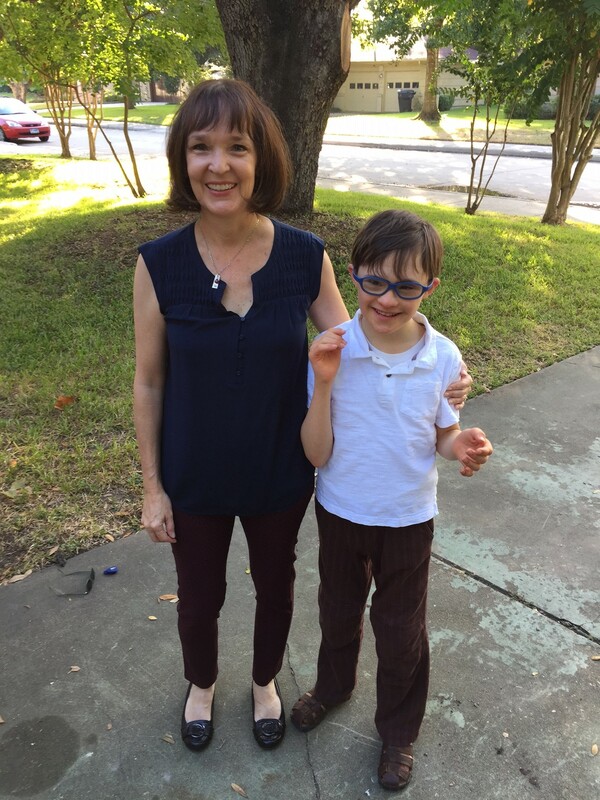 When asked about her experience with ECI of Easter Seals Greater Houston, Stephani replied: “I didn’t know what to do until someone told me what to do. I saw how much the suggestions helped him, and I was excited to do more. 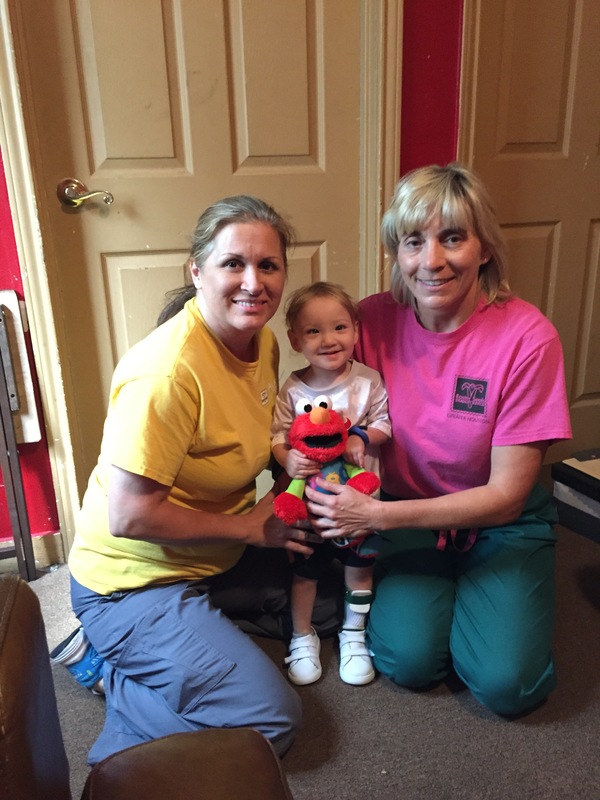 I didn’t know where to start and they showed me.” She has certainly embraced the team approach as the family, ECI staff, and medical professionals all work together to encourage Bear’s next new skill. Written by a client’s adoptive mother. ‘It was Thanksgiving eve 2014 that I received a call from my husband wanting to know if I was still interested in adopting a baby, my heart sank. My husband and I only had one daughter and she was now 19. We had always said one day we would try to adopt but had not pursued it, so I was very much surprised by the phone call. My husband went on to explain that a very distant relative of his had reached out to him to see if maybe we could take a family member’s newborn, if not they were taking her to the local fire station. We had until midnight to get there (Dallas), and well my response was an immediate YES!!!! I left work, went straight home and we had a family meeting to ensure our 19-year-old was on board, AND her response was “what are you waiting on… GO”! We brought Jordan home that night she was 6 weeks old. We immediately noticed that she wasn’t crying very much and that she was moving her head and arms very little. I took her to the doctor and they told me she wasn’t moving or crying because she had been left in a car seat or swing for long periods of time and had very little interactions with her parents. The doctor told me babies cry because they need something, but if no one responds eventually they stop crying. It really hit me hard now how much she had been neglected. I contacted the CPS agent in Dallas and she explained what all had happened, she told me that Jordan had been born with 4 drugs in her system and that was why they had an open case, I had a home interview and the file was closed with CPS. 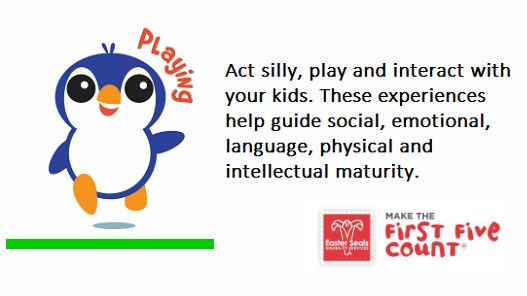 I had heard about #MakeTheFirstFiveCount and their on-line Ages and Stages Questionnaire. I filled out an Easter Seals referral form and Jordan was evaluated by Easter Seals Greater Houston‘s Early Childhood Intervention Program (ECI) and on January 28, 2015 she was diagnosed with a NON-categorical four-month delay and she started Physical Therapy & Occupational Therapy with the Liberty County Easter Seals staff. Ms. Leanne Armel, an amazing therapist that has been with Easter Seals Greater Houston for over fifteen years, started working with Jordan intensely, and she told me this wasn’t going to be easy and for me to stay strong…This was one of the hardest things I’ve ever had to do, as her mom my first instinct is to protect her from hurting (she had been through so much already). Every time Ms. Leanne saw me she would always reassure me this was for the best and always gave me early intervention caregiver’s techniques to do at home & in the classroom as well while not doing therapy. A few months into it Ms. Leanne told me not to give up but to be thinking about talking her to the doctor to see if she would benefit from surgery. I was so scared and unsure as to what to do?? Ms. Leanne was so comforting and really listened to me without judging, she understood how hard it was to see Jordan crying during the sessions, but I prayed every day for God to lead guide and direct all decisions. January we had our second IFSP (Individual Family Service Plan) meeting and Jordan graduated out of the program and was ahead of schedule in most milestones!! Can you believe we were discussing surgery one year ago!! Now she will be school ready! and we are equipped with more knowledge and resources moving forward!